Norma Tasso Rasmussen passed peacefully on Monday, May 1, 2017, in Mesa, Arizona. Although she will be missed dearly by her family and friends, she is now together with her husband and her parents and siblings in a joyous heavenly reunion. She was 90 years of age at her passing. Norma was born on April 2 , 1927 in Preston, Idaho. She was the youngest of 5 children. Her parents migrated to America from Italy. Norma was raised on a farm in the small southeastern Idaho community of Clifton. Besides all of the farm chores, Norma learned to cook, embroider, crochet, and knit from her mother. Although her parents were raised in the Catholic church in Italy, they felt their children should be baptized into the LDS church. After high school, Norma attended Utah State Agricultural College (now Utah State University) in Logan, graduating with a degree in Home Economics. One month later, she and Francis Rasmussen were married in Clifton on July 20, 1949. They were later sealed in the Logan Temple on June 28, 1965. Her husband, Francis, graduated from law school in Moscow, Idaho, and then they settled in Soda Springs, Idaho in 1952. Norma and Francis had 4 children. Norma also earned her B.S. degree in Elementary Education and taught school (5th Grade) for over 20 years in Soda Springs. After being happily married for 34 years, Francis died suddenly at the age of 57. It was a difficult time for Norma, but she continued teaching school for a number of years, then moved to Mesa, Arizona in 1988 to be closer to family. 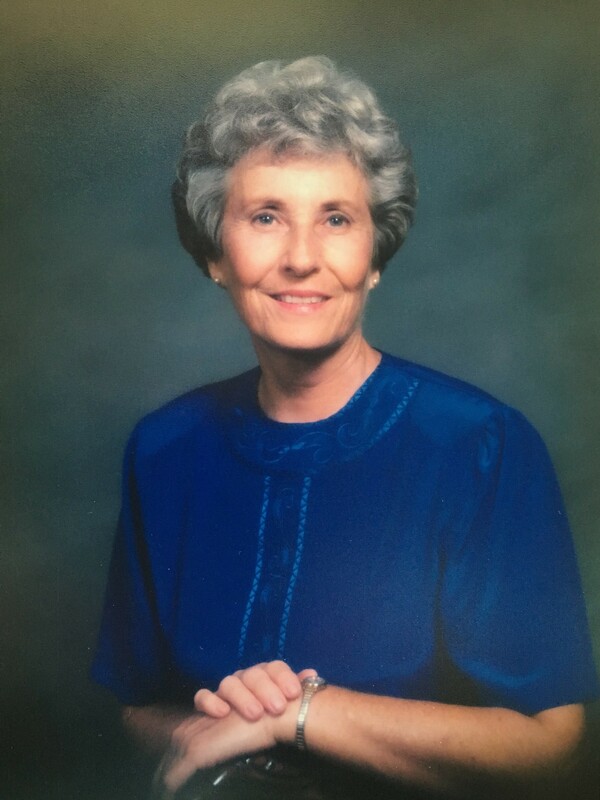 Norma was a faithful member of the LDS church, serving in a number of callings, including an 18-month Family History mission in Salt Lake City, Utah. She had a fervent testimony of the truthfulness of the LDS church and loved her Savior, Jesus Christ. Service brought joy to Norma and she gave freely of her time and means to family members, friends and many charity organizations. Norma was a conscientious and loving mother, grandmother and great-grandmother. Norma is survived by her children, Gary (Pam) Rasmussen of Tucson, Arizona, Craig (Savina) Rasmussen of Cedar City, Utah, Connie (Tom) Larsen of Mesa, Arizona, and Wayne (Ladawn) Rasmussen of Melissa, Texas; 20 grandchildren, and 61 great-grandchildren. Funeral services will be held Saturday, May 6, 2017 at 10 am at the LDS Mesa East Stake Center, 2228 E. Brown Road, Mesa, Arizona, 85213. There will be a viewing held at the same location at 9 am prior to the services. Interment will be at the Fairview Cemetery in Soda Springs, Idaho on Saturday, May 13, 2017. In lieu of flowers, it is suggested a donation be given to either: LDS Humanitarian Services at https://www.ldsphilanthropies.org/humanitarian-services.html or Susan G. Komen Breast Cancer Foundation at ww5.komen.org in memory of Norma Rasmussen. Aunt Norma was a wonderful lady and always a joy to be around. She always took the time to talk to you and was interested in what you were doing. Sorry for your loss. She was such a great lady! Have so many good memories of her! Condolences and love to her wonderful family! Your family has my deepest sympathy. I am so very sorry to learn of the loss of Ms. Norma. She will be dearly missed. I was thinking of something to say to ease the tremendous pain that your family is suffering. So I compiled this list of scriptures that is sure to bring you comfort in this difficult time: Psalms 55:22; Proverbs 3: 5 & 6; Isaiah 41:10; 2 Corinthians 1:3-7; James 4:8; and Revelation 21:4. Be strong. Cherish the memories. May the peace of God be with your family always. And, please, remember to call upon his name found at Psalms 83:18.